Home > Charms > Sterling Silver Charms > Sterling Silver Solid Round 17mm Disc Charm - Engrave it! 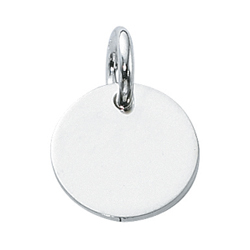 This 17mm Sterling Silver Disc Charm is perfect for engraving! Included jump ring is open.